While many Millennials only have modest goals for home ownership and value saving money for things like potential emergencies, a recent Bankrate.com study shows that members of this generation can go a little crazy when it comes to spending money on vices. According to the results, the average Millennial eats out at a restaurant or buys takeout five times per week, while 29% say they buy coffee at least three times a week and 51% admit to going to a bar at least once per week. Berger says the best way to cut back on certain vices is to plan ahead and spend accordingly. 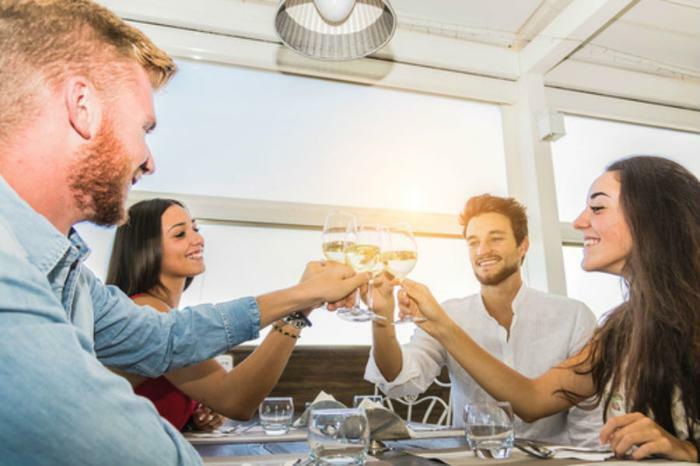 This is especially true for eating out, since many Millennials will often grab a bite at a restaurant or place an order to go because they claim they don’t have time to cook. “Buy in bulk by hitting the (warehouse) club on the weekend, and be sure [to] cook a variety of easy recipes that incorporate similar ingredients to cut back on waste and time. When everything’s already cooked and all you have to do is grab and go, eating out becomes much less tempting,” she said. For cutting back on alcohol expenses, Berger suggests shopping at discount liquor stores instead of getting pricey cocktails at a bar. In the long-run, this can save thrifty Millennials $20-$50 per week in bar tabs. Another alternative is to find ways to socialize that don’t include drinking, such as trips to movies, a museum, the beach, or a park. Lastly, Berger says that Millennials shouldn’t shrug off the small amounts of money that they spend on habitual expenses like coffee. Those small charges can add up over time, and it can be devastating to your bank account if left unchecked. The key, she says, is being mindful and having self-control.